Fixed a crash found by Holden the Cat, happening when furiously trying to add more d10s after the page is already full. Fixed a crash found by Pip’s Old Guard, happening by the rust of Pip 2.0 still on their devices. Pip 3.0.1 is between 16% and 40% the size of version 3.0, depending on your device. 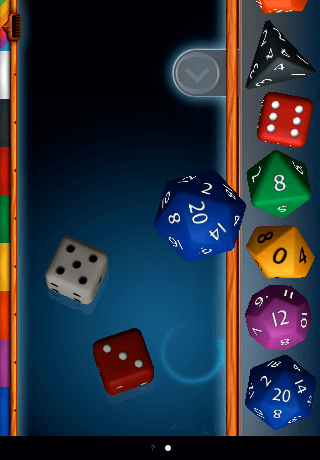 Locked state of dice is now saved when you exit the app. Fixed shadows not showing up correctly in older devices. Fixed tray sensitivity, causing it to sometimes not opening but still making the sound as if it did. 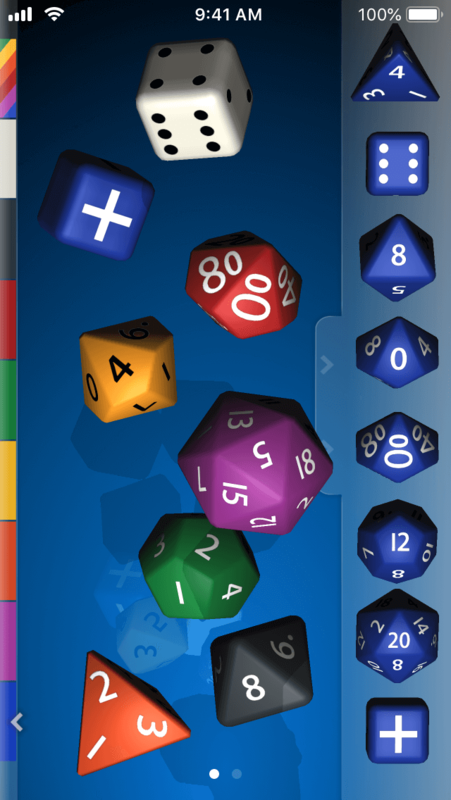 Fixed an issue that would make dice go under the tray when opening app. When device enters Low Power mode, Pip renders at 30 frames per second instead of 60 to save battery. 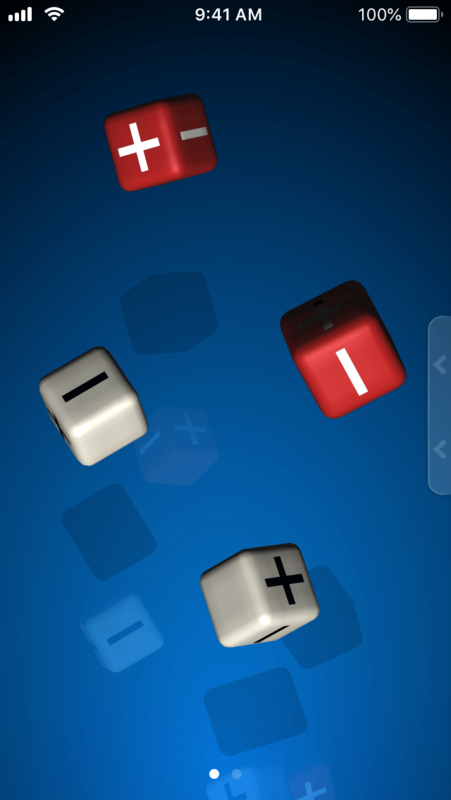 Walls are now sloped in so dice are never rendered outside the screen. 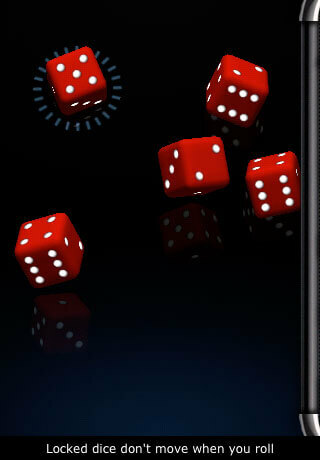 Dice are thrown with a more random strength when double tapping. Pip 3 is the first release with support for full screen Retina® and Retina HD® displays for iPhone® and iPod touch® running iOS 8+. 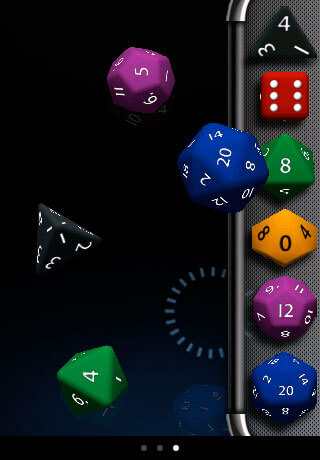 It also features improved graphics with antialiasing and shadows, lower battery usage, and double the amount of pages to organize your dice. An increase in performance of 2x across all devices, including the first generation iPhone and iPod touch. New look, with a tabbed scrolling glass tray, and color selector. 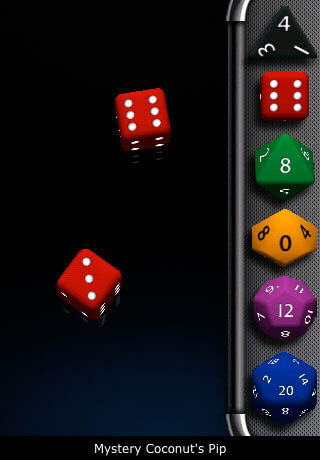 New dice types: double-digit ten-sided dice, fudge dice, and average dice. You can now double-tap in addition to shaking the device to roll. 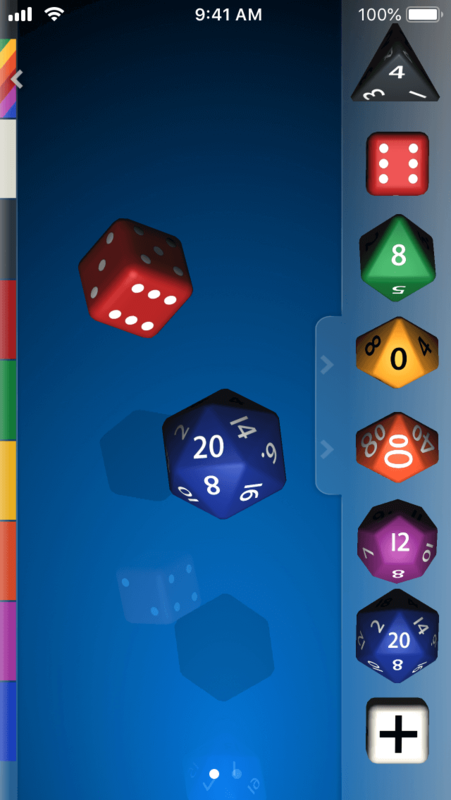 Select from a palette of eight different colors for your dice. Delete all dice on a page at once. 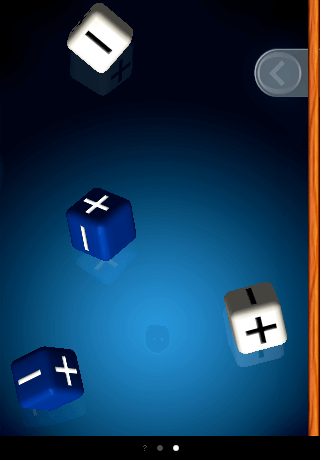 Slide dice on a page from under the tray by slightly tilting the device. 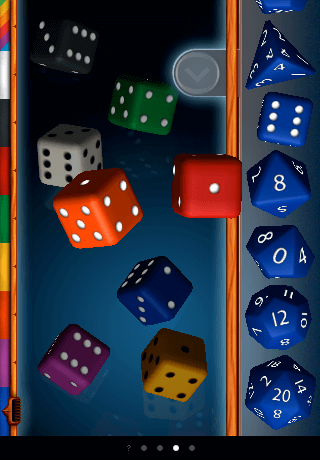 Bigger digits in dice, making them easier to read.